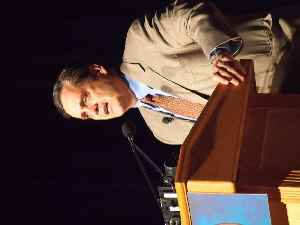 Jonathan Turley is an American lawyer, legal scholar, writer, commentator, and legal analyst in broadcast and print journalism. He is a professor at the George Washington University Law School. The Mueller investigation may be over, but there are still a number of other investigations involving President Trump. CBSN legal contributor Keir Dougall, CBS News legal analyst Jonathan Turley and.. The release of the Mueller report finds the special counsel's office found no evidence President Trump colluded with the Russia government. But Mueller details instances when the president tried to..
CBS News legal analyst Jonathan Turley, who testified at Attorney General William Barr's confirmation hearing in January and has known him for years, joins "CBS This Morning" to discuss the impending..